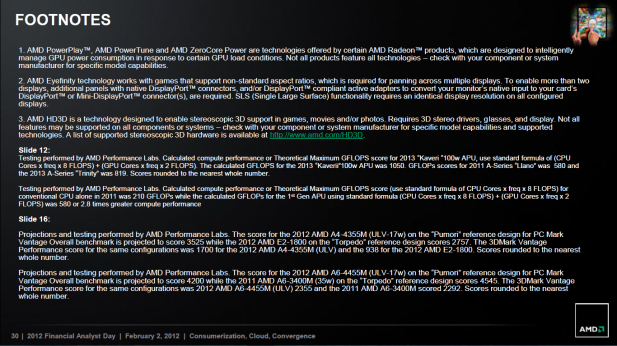 It looks like AMD’s missed the mark big-time with its upcoming mainstream APU, codenamed Kaveri. In Lisa Su’s keynote on Monday the company announced that the highest performance version of Kaveri will be good for 856 GFlop/s. 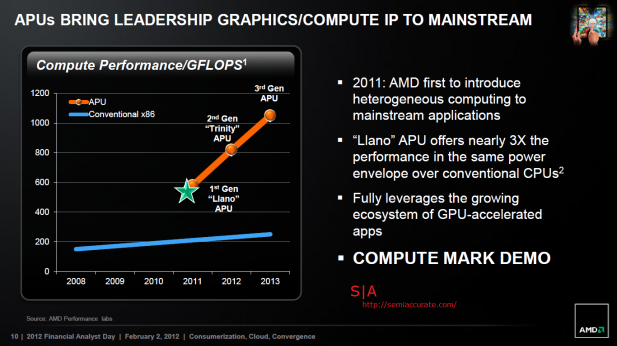 This information is stark in its contrast to 1050 GFlop/s number that AMD announced for Kaveri at its 2012 Financial analyst day. Of course Kaveri has been a troubled chip for AMD. At this point Kaveri is over a year late and most of that delay is due to a series of internal issues at AMD rather than technical problems. 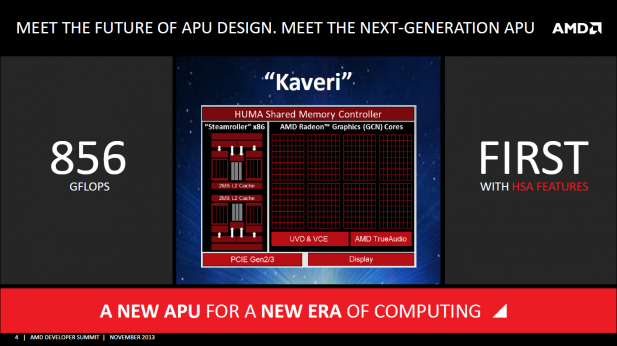 But now with the knowledge that Kaveri missed AMD’s internal performance targets by about 20 percent it’s hard to be very positive about AMD’s next big-core APU. Because of the way the GFlop/s metric is weighted towards GPUs it appears that most of the performance miss is due to unexpectedly low clock speeds on the GPU half of Kaveri rather than a major miss on the CPU side. 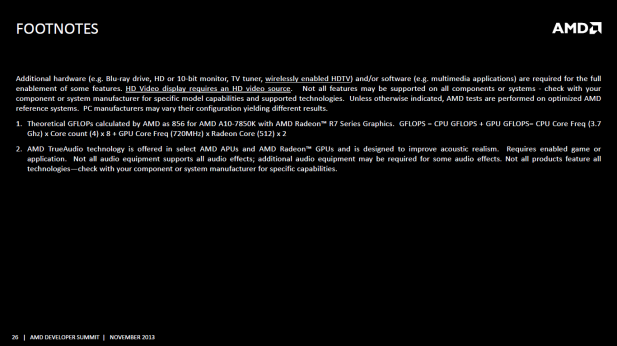 The targets for Kaveri that were announced by AMD were 4 Ghz for the CPU side and 900 Mhz for the GPU. What the company is actually delivering is 3.7 Ghz on the CPU and 720 Mhz on the GPU which is an eight percent miss on the CPU and a massive 25 percent miss on the GPU side.